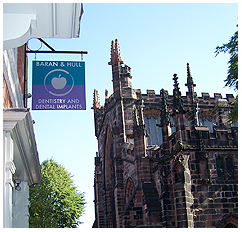 During my 23 years at Baran & Hull I have gained invaluable experience and knowledge. I started here as a dental nurse and I am now the practice manager. We have a great team and our enviable camaraderie makes for a very happy environment for staff and patients alike. My hobbies are mainly sports related, although my passion is for musical theatre. I have enjoyed playing lead roles for a number of local dramatic societies.